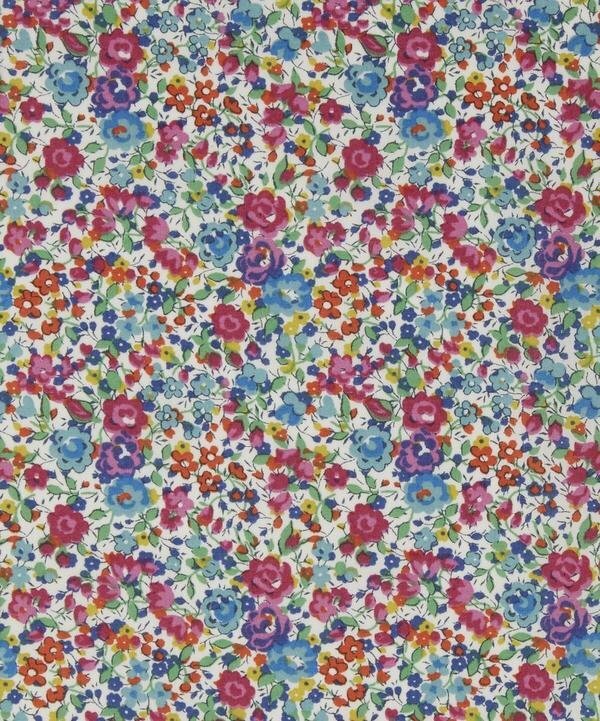 Inspired by Liberty London's large collection of Victorian pattern books, the Emma Georgina fabric design is based on two tiny, dense floral prints. Emma was first produced on Tana Lawn in the 1970s; Georgina was launched in 2000. Tana Lawn cotton’s distinctive hand-feel and translucent softness make it a versatile favorite.